The reports said that the committee will approve 2,600 housing units in the East Jerusalem settlement of Gilo, 2,600 others in Givat HaMatos, and 400 units in the Ramat Shlomo settlement. 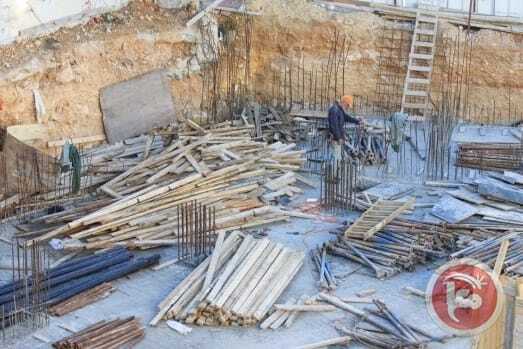 In response to a request for comment on the reports, a spokesperson for the Jerusalem municipality only said: "Building Jerusalem is essential for the development of the city for the benefit of all residents, Jews and Arabs alike. The city will continue, with all of the tools at its disposal, to develop our capital in accordance with the city's master plan and planning and construction laws." The deputy mayor also reportedly said he was looking forward to the incoming Donald Trump administration to “make up for the shortage in construction during Obama's eight-year tenure." The number of settlers living in the occupied West Bank has increased from 281,100 in 2008 to 385,900 in 2015, excluding those residing in occupied East Jerusalem. The Applied Research Institute - Jerusalem (ARIJ) estimates that between 500,000 and 600,000 Israeli settlers currently reside in West Bank and East Jerusalem settlements. Meanwhile, plans for some 3,000 settler units were advanced since the start 2016 as of August according to Israeli settlement watchdog Peace Now, including hundreds of existing units that were “retroactively legalized” after formerly being considered illegal under Israeli domestic law. Israeli leadership has reacted with outrage and defiance since the UNSC approved the resolution, which states that settlements have "no legal validity and constitutes a flagrant violation under international law," and call on the nations of the world "to distinguish, in their relevant dealings, between the territory of the State of Israel and the territories occupied since 1967." Israeli Prime Minister Benjamin Netanyahu said that Israel "would not abide by the terms" of the "shameful anti-Israel resolution," and reportedly summoned the ambassadors of the UN Security Council member states to personally reprimand each of them on Christmas day. Meanwhile, Israeli Education Minister Naftali Bennett on Sunday morning again called for the annexation of the illegal Israeli settlement of Maale Adumim as well as all of Area C in the West Bank -- the more than 60 percent of the territory currently under full Israeli military and civil control. Maale Adumim, located just seven kilometers east of Jerusalem, is the third largest settlement in population size, that many Israelis consider it an Israeli city that would remain under Israeli control in any final status agreement reached with Palestinians as part of a two-state solution. Human rights groups and international leaders have strongly condemned Israel’s settlement construction in the occupied West Bank, claiming it is a strategic maneuver to prevent the establishment of a contiguous, independent Palestinian state by changing the facts on the ground, while members of Israel's parliament have repeatedly come forward announcing their support for annexing Area C.
A recent report by human rights group B'Tselem argued that under the guise of a "temporary military occupation," Israel has been "using the land as its own: robbing land, exploiting the area’s natural resources for its own benefit and establishing permanent settlements," estimating that Israel had dispossessed Palestinians from some 200,000 hectares (494,211 acres) of lands in the occupied Palestinian territory over the years. B’Tselem highlighted the “key role” of Israeli settlers in further isolating Palestinians from their lands, either through the establishment of outposts officially unrecognized by the Israeli government, or through the regular use of violence or threats of violence against Palestinians. B’Tselem argued that settlers acted as “envoys” of Israel in pushing land grabs in the occupied Palestinian territory, allowing the government to officially detach themselves from the settlers’ violent and illegal actions, while avoiding or blocking any legal penalties that could be imposed on the settlers, except in the most extreme of cases. "The state helps settlers operate as a mechanism for dispossession in Palestinian space -- settlers serving as a means purportedly not under state control, and settlers also use serious violence against Palestinian residents,” the group explained. The movement of Israeli settlers taking over Palestinian land, and further displacing the local Palestinian population has been a "stable" Israeli policy since the takeover of the West Bank and Jerusalem in 1967, B'Tselem concluded, underscoring that all "Israeli legislative, legal, planning, funding, and defense bodies" have played an active role in the dispossession of Palestinians from their lands. While the anti-settlement resolution adopted by the UN Security Council has no immediate practical ramifications, it could open the door to lawsuits against Israel at the ICC, sanctions imposed for any Israeli move seen as violating resolution, and boycotts on settlement products. The UN Security Council's Resolution 2334, which was adopted on Friday, may not have immediate practical ramifications, but it could open the door to lawsuits against Israel at the International Criminal Court (ICC) in The Hague and for sanctions to be imposed on Israel—both by the UN and by individual countries. 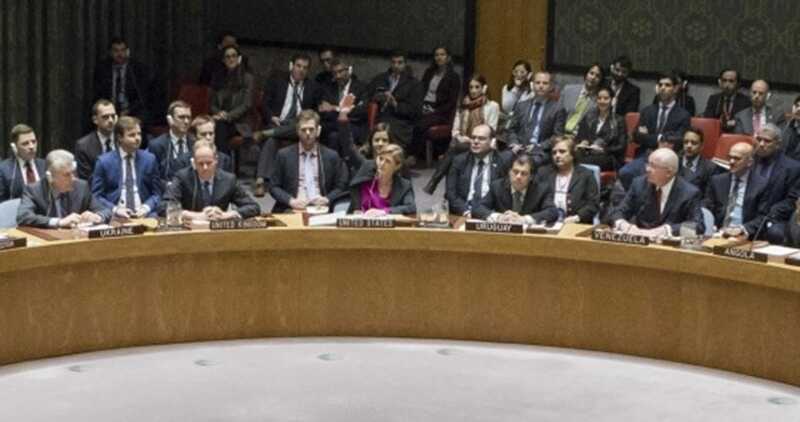 Of the 15 members of the UN Security Council, 14 voted in favor of the resolution against Israel's settlement construction, which was raised by Malaysia, New Zealand, Venezuela and Senegal after Egypt rescinded it as a result of Israeli pressure. The United States chose to abstain from the vote, and in an unusual move—the first in Barack Obama's presidency—Washington did not veto a resolution against Israel. The adoption of the resolution was met with applause by the convened diplomats at the UN Security Council. 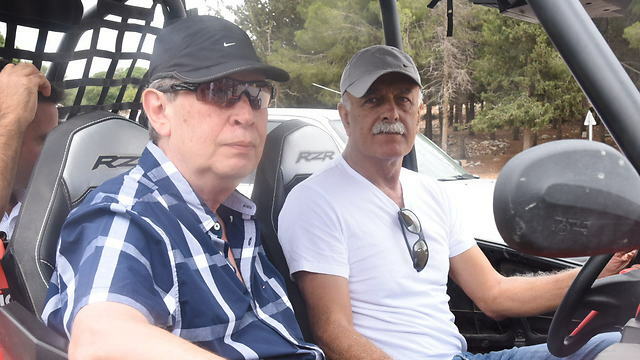 The resolution makes Israeli citizens that are involved in the settlement enterprise in the West Bank vulnerable to lawsuits in courts all over the world. The resolution's wording can also be seen as a victory to the BDS Movement, as it opens the door for boycotts of goods produced in the Jewish settlements in the West Bank. The resolution includes an article requiring the UN secretary-general to report to the Security Council every three months regarding its implementation. This will lead to continued pressure on Israel, putting it in a constant defensive position, similar to South Africa during the apartheid regime. Article 5 of the resolution calls to create a distinction between the State of Israel and the settlements built on lands captured in the West Bank and in east Jerusalem during the 1967 Six-Day War. This article calls on the international community not to aid those settlements and allows for countries and organizations to boycott the settlement enterprise—either directly or indirectly. Officials in Jerusalem are worried such a call would encourage the European Union to make its policy of labeling settlement products into law and call for a boycott these products. Such a move would lead banks, gas stations, HMOs, retailers, high-tech companies and others to close their branches beyond Green Line to avoid being included in the "blacklist" of companies doing business in the settlements and consequently being boycotted as a result. Officials in Jerusalem are also worried that other nations in the world will follow in the footsteps of the European Union—even if not by boycotting the settlements, then at least by labeling settlement products. Nevertheless, the resolution cannot be applied retroactively and has no immediate practical consequences. Since it was adopted under Chapter 6 of the United Nations Charter, it cannot be forced on Israel. Only resolutions passed under Chapter 7 can be imposed. Theoretically, this will allow Israel to mitigate the damages caused by resolution, mostly with the help of US President-elect Donald Trump, who will also be able to veto future resolutions. Prime Minister Benjamin Netanyahu's office has already announced it would work in cooperation with Trump on the matter, while Trump himself tweeted: "As to the UN, things will be different after Jan. 20th." One of the existing possibilities is for Trump to threaten to cut the UN's funding if it tries to impose sanctions on Israel. But while the damage from the resolution might be mitigated, it still limits the Israeli government in several ways. If, for example, the Israeli government approves construction in the settlements and in east Jerusalem, it risks being accused of violating the resolution, which is based on the Fourth Geneva Convention that prohibits an occupier to transfer parts of its own civilian population into occupied territory and views such an act as a war crime. In addition, if the Israeli government decides to annex the West Bank or even just Area C, such a move can prompt some in the international community to demand that a new resolution is passed at the UN Security Council—this time under Chapter 7, which empowers the UN to impose a resolution. Even so, it is likely that Trump will veto such an attempt. The Palestinians, meanwhile, can now choose to seek membership at the UN Security Council. Last year, the Palestinians raised their flag at the UN, but failed when they tried to join. Um Naser, a neighborhood resident, by the settlement built adjacent to her home. The Israeli Information Center for Human Rights in the Occupied Territories: The Batan al-Hawa neighborhood, in the heart of Silwan, is the setting for the most extensive expulsion in recent years in East Jerusalem. 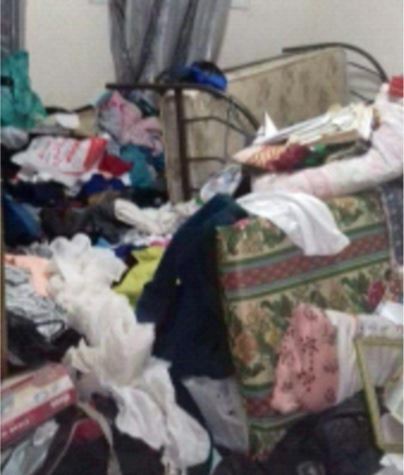 To date, eviction claims have been filed against 81 Palestinian families that have been living in Batan al-Hawa for decades. According to the UN Office for the Coordination of Humanitarian Affairs, this number reflects a third of all families under threat of dispossession on the basis ethnicity in the city.